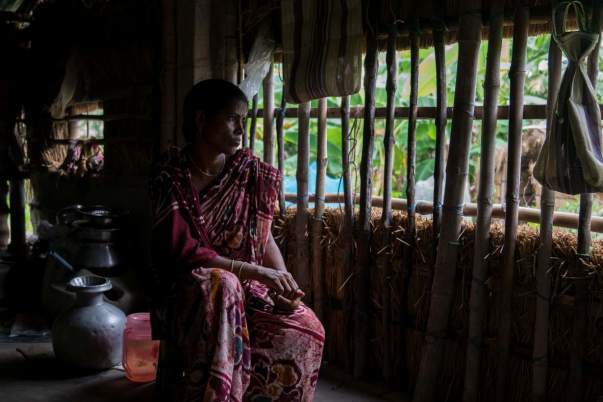 LAHIRIPUR, India, Sept 4 (Thomson Reuters Foundation) - Geeta Mridha lost her husband on Valentine's Day 2014. He was fishing in the backwaters of India's Sundarbans National Park with four others when a tiger leaped out of the jungle and dragged him away by the throat. Mridha says the other men didn't even have time to react. His body was never found. "After my husband's departure, I became completely helpless and hopeless. I didn't know what to do and how to run the family," she said. The Sundarbans National Park, in the state of West Bengal on the India-Bangladesh border, is known for its natural beauty, with its lush mangroves and rich wildlife. But for people like Mridha, who live on the floodplains, the park is a place of hardship and loss. 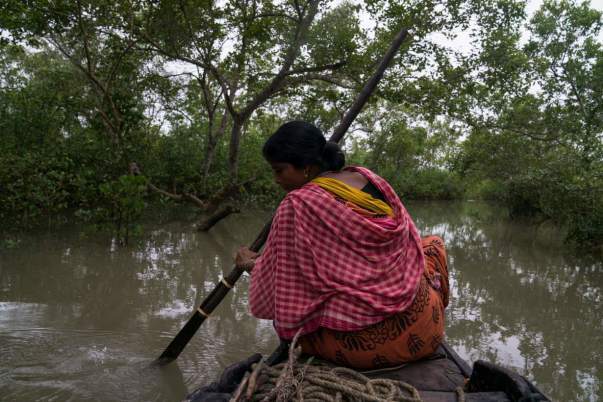 The Sundarbans is home to the world's largest population of tigers, and coastal erosion due to climate change is pushing human residents further into their path. Every year, 50 fishermen or honey collectors are killed in tiger attacks, researchers estimate. After losing their family's breadwinner, women are left to fend for themselves and their children. They are the "tiger widows" of West Bengal. 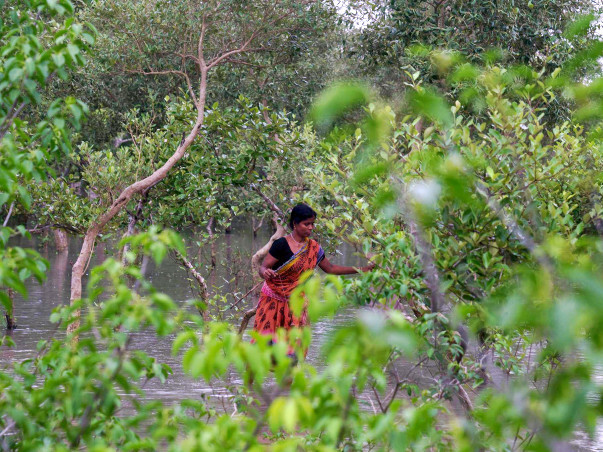 For the widows of the Sundarbans, the search for regular income is compounded by the social stigma they face. A study published in the journal Environmental Health Insights in 2016 found that women widowed by tigers are often blamed – unjustly – for the deaths of their husbands. In India’s patriarchal society, women are often seen as responsible for any ill fortune that befalls a family. 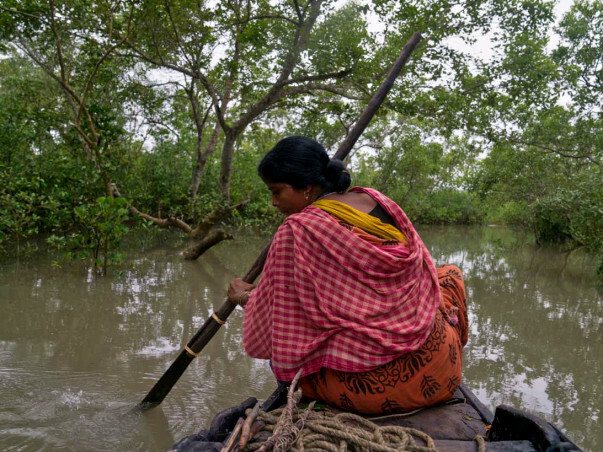 In the Sundarbans most tiger widows are branded “swami-khego” or "husband-eaters" by their inlaws. 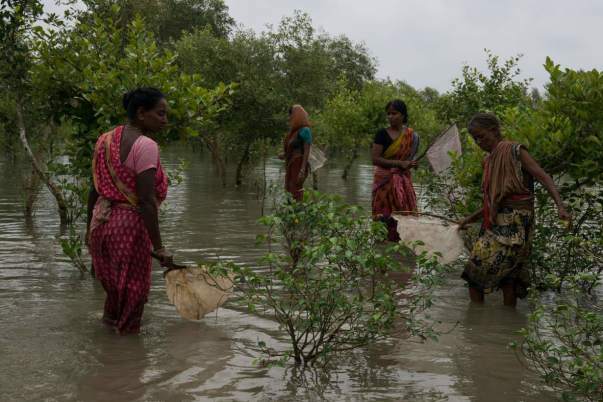 "Fearing being ostracised by society, these women keep to themselves and go about their life pretending as if nothing happened," said Arjun Mandal of the Sunderbans Rural Development Society (SRDS) and the head of a local community of fishermen. SRDS, which conducted an informal survey between 2006 and 2016 with the help of fishermen and their families, estimates that 260 families have lost breadwinners to tiger attacks in Lahiripur alone. In the past, widows had been able to make a living after their husbands' deaths by cultivating prawns or carrying out small-scale survival farming. But sea-level rise and population growth are putting the delta’s delicate ecosystems under increasing pressure. 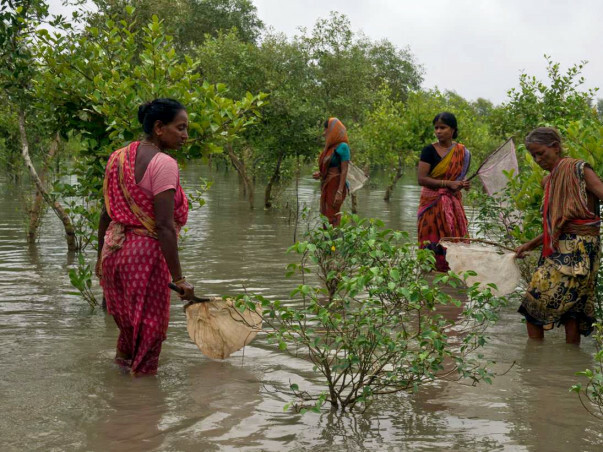 Today 4.5 million people live in the Sundarbans, where parcels of fertile land are being swallowed by rising seas, mangrove cover is dying, and the coast is eroding. This means the only option open to widows is often to go out and fish the waters in the jungles where their husbands were killed. 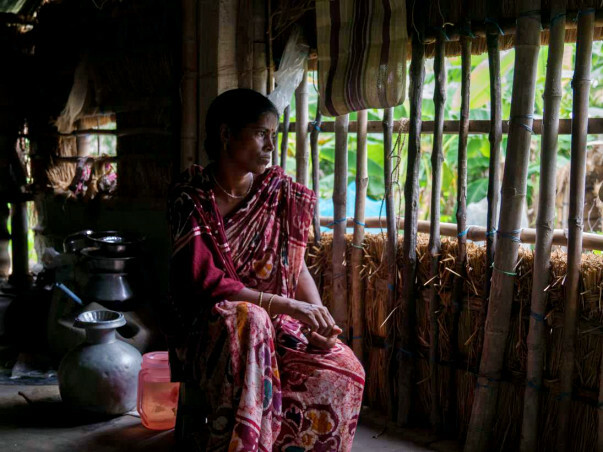 “Once the salty water breaches the embankment and enters your land, it makes the field infertile forever," said Alapi Mandal, who lost her husband in a tiger attack a decade ago. Like Mandal and Mridha, Alapi (the two are not related) is also from Lahiripur in the South 24 Parganas district of West Bengal. Mandal grew crops and vegetables on her own land until last year, when an embankment breach swallowed her house and farm. Mridha never owned any land to farm, and struggled to feed and pay school fees for her two children, now 11 and 9 after her husband's death. In 2015, she and 10 other women formed a group and began going to the jungle together. “I cannot let my children starve to death," Mridha said. "That’s why I decided to go to the jungle." None of the women wants their children to be trapped in the same vicious cycle of poverty and danger. "I have told them that education is the password to get out of this," Mridha said. "I always tell them to concentrate only on their studies." Many women say that if they could find any other work that ensured their families two meals a day they would stop going to the jungle. They don’t want to risk their lives, and they want to spend more time with their children, to make sure they stay focused on studies. But community stigma and the loss of arable land make this a distant dream for most tiger widows. Moved by their plight, Arjun Mandal of SRDS has launched a crowd-funding campaign to help the women find a safer way of earning a living, such as manufacturing candle wicks for local markets and temples. So far it has brought in just 7,500 rupees ($117). "We appeal to all the pious people out there... to extend a helping hand for these families," he said. Sanjay i met you on facebook today.. The reason im donatimg is because of God remember prayer and spreading Gods word is stronger than money.